Sonic Mania, the upcoming game from Sega and Christian Whitehead, has been delayed for an undisclosed amount of time. While the game still holds a ' Summer 2017' listing on the official website, news broke recently that the game, before having an official release date, was to be pushed back, to a different date. Outside of that announcement, there has been little else about the actual gameplay or different modes, though Destructoid had a chance to try out a demo of the title and they stated it features something of a "1.5 player experience," much like older Sonic games. This means that while two players can play together cooperatively, one of them would be playing as Tails with minimal responsibility or impact in the game. Along with the co-op options, the game seems set to feature fully fleshed out single player, much like Sonic games in the past. The site reads, "Play as Sonic, Tails, & Knuckles as you race through all-new Zones and fully re-imagined classics, each filled with exciting surprises and powerful bosses. 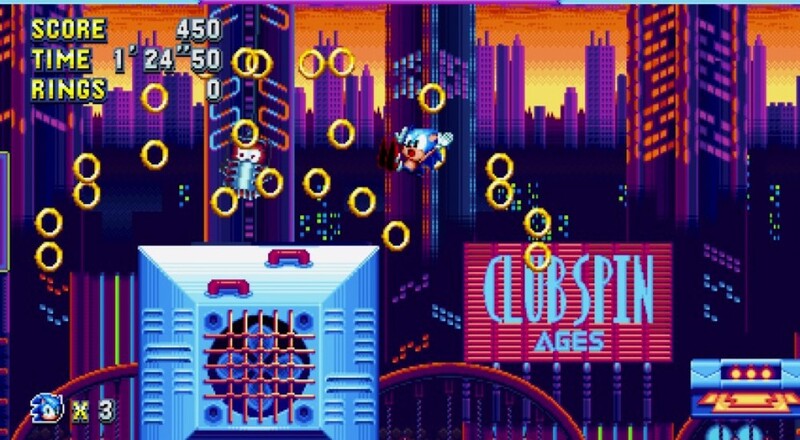 Harness Sonic's new Drop Dash, Tails' flight, and Knuckles' climbing abilities to overcome the evil Dr. Eggman's robots. Discover a myriad of never-before-seen hidden paths and secrets!" Sonic Mania is scheduled to come Summer 2017, and slated for release on the Nintendo Switch, Xbox One and PlayStation 4. Page created in 0.6842 seconds.